It's no secret gasoline has a maddeningly short shelf life. So after even a few weeks the lighter molecules evaporate leaving behind sticky fuel that gums up carburetor float bowls and clogs the narrow jets and passages. If that's the bad news, then the good news is that outboard motor carburetors can be rebuilt in a couple of hours, even by a fumble fingered newbie. In essence rebuilding simply means cleaning the gum and varnish out of the float bowl, jets and tiny passages. The procedure to rebuild an outboard motor carburetor is straightforward, but consider shooting a gallery of pictures along the way to ease reassembly. Why rely on your fallible memory when digital cameras are omnipresent? The outboard motor carburetor pictured above is an example of what you might find on your motor. Only, newer outboard motor carburetors won't have the high or low speed adjustable needle valves. Begin by detaching the primer bulb fuel line from the engine. Under the cowling, disconnect the fuel line that runs directly the carburetor. Disconnect any linkage connecting the carburetor to the engine. Unbolt the carburetor from the intake manifold. Usually there are two bolts or nuts and studs. Disassemble the carburetor. Laying the component parts on a clean shop towel makes it easier to see individual parts and group them. Inspect the inlet needle. Its up and down motion lets fuel in or shuts off the flow. If the needle tip is grooved gasoline trickles in no matter what the position of the float. Overflow en-richens the fuel to air mixture, causing rough running and wasting fuel. A replacement needle and matched seat are a matched set. To buy parts bring the make, model number and serial number to the parts counter. Be sure to ask for a discount, since you are doing your own work. Sometimes they say, yes. 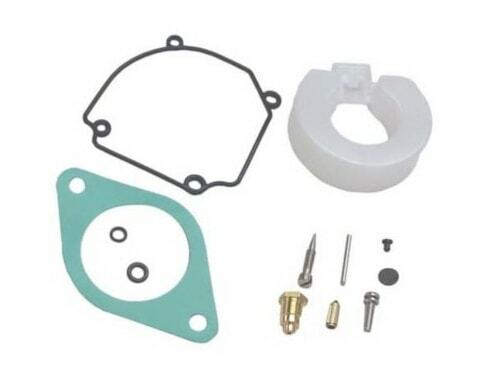 Important to note, outboard motor carburetor repair kits are available both from the manufacturer and also from Sierra International, a leading supplier of marine engine and drive parts for nearly 40 years. Another good online source for parts is Boats.net and it offers a generous discount prices for parts (outboards, inboards and stern drives). If the float is cork, not plastic. Don't even bother with it. It is likely original equipment and prone to dissovlign in Ethanol dose fuel. If the float is plastic, shake it. It's hollow and it should be empty. If there's fuel inside, it has sprung a leak and extra weight of the gasoline sloshing around inside the float drags the needle down, so the carburetor constantly flows fuel. Once again the rich mixture causes problems. Sometimes a new float is included in a carburetor rebuild kit. 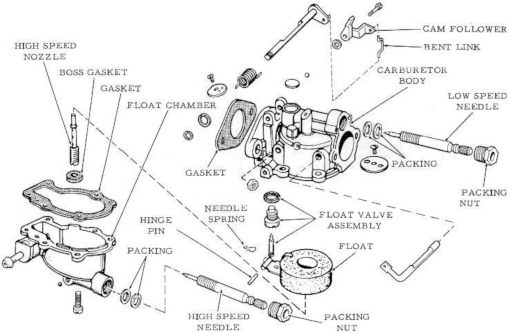 Usually the paper or rubber gasket between the float bowl and the carburetor body can be reused. But for a paltry few dollars it's not worth risking a leaky fuel bowl. Similarly, always replace the paper gasket or O-ring that seals between the carburetor base and the intake manifold. If it leaks, errant air flow causes an engine to run lean. Poor running and engine damage result. Good news: It is no longer necessary to soak a carburetor overnight in a bucket filled with a caustic solution. CRC and number of other chemists offer aerosol carburetor cleaner that let you rebuild an outboard carburetor in less than an hour. Be sure to wear rubber gloves and eye protection. Also, vitally important, don't let the spray soak or splash on any of the rubber gaskets (float bowl) or they will swell, growing too large to fit in the bowl gasket groove. Hint: It's wise to have a spare bowl gasket in your spare parts kit. In most cases purging carburetor passages of sticky gum and resins is as simple as purchasing an aerosol can of the aforementioned carburetor cleaner. Depending on where you shop, the cost ranges from 3- to 5-dollars. Regardless of the brand name, make certain the particular can you pick up to take home has the little red straw taped to the side. Sometimes they fall off in the store, and trust me, you'll need one. The red straw is an absolutely critical component that allows you to direct the spray into a jet and internal carburetor passages. Personally, I prefer CRC's Clean-R-Carb. Don rubber gloves and eye protection. Work in an area with lots of fresh air, but no breeze. Insert the notorious little red straw in the carburetor cleaner spray nozzle. Hose down the float bowl, the underside of the carburetor body. One after the other insert the straw into each one of the passages. The cleaner is a solvent that rapidly dissolves gum and varnish. The pressurized flow blows dissolved gook right out of the castings. Now for a secret: many otherwise correctly executed carburetor rebuild jobs work well for an hour or two, then seem to go sour. Seemingly inexplicably, the outboard reverts to rough running. The reason is as simple as the sea is salt: You didn't get all the gunk out. So the engine ran long enough for the fuel to dislodge that gunk and plug up the jets and passages all over again. To prevent this frustration, completely disassemble the carburetor and make sure you de-gum every little passage and orifice. Take a look at the exploded view of the Evinrude and Johnson carburetor further up this page. When these carburetors were manufactured, a machinist drilled tiny passages in the aluminum casting, passages inside of a chamber or well. The next step in the manufacturing process was to seal the opening. To see what I am talking about look for a freeze plug on your carburetor. Beneath it is a well and those passages are probably gummed. The only way to clean them is by removing the plug and directly spraying the passages. 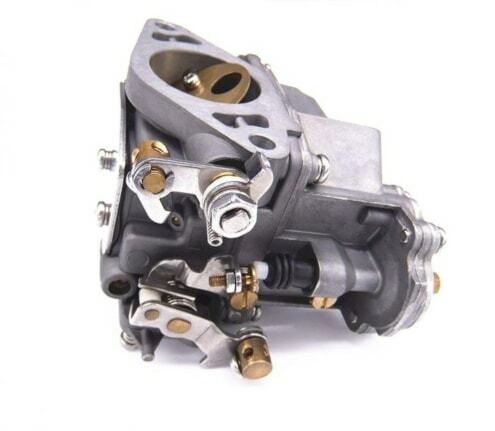 Note: Not all carburetors have this design. If yours does, to clean those passages, secure the carburetor body on the work bench. Then carefully, firmly, drive the tip of a narrow blade screwdriver through the plug. Pry it out. Removing the plug gives access to those otherwise hidden passages, allowing them to be cleaned, instead of continuing to harbor crud that will work loose and plug up passages. That done, you need tyo install a new plug along, with the correct sealer available from the manufacture. Seal the plug, slip it into place. Carefully, firmly drive it until you feel it bottom out in the casting. 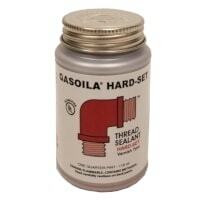 Gasoila, a hard setting sealant, works great for the sealant. So too does BRP/OMC Adhesive M.
Author Timothy Banse, factory trained marine mechanic and former service manager, has published articles in Popular Mechanics, All Chevy, Pickup Van & 4-Wheel Drive, Mecanica Popular, Motor Boating, Yachting, Mar y Vela and many other magazines and newspapers from around the world. He writes about cars, trucks and tow vehicles and marine-engine technology.